As a complete beginner, I had a hard time finding information that didn't assume I already had some prior knowledge of the topic. I was seriously starting at ZERO! But this book was perfect for me! Everything is explained clearly and simply. Can't recommend it enough! Down to earth advice from one who has lived his own story. 5つ星のうち3.0Confirmation of what I already knew. Find someone who knows even just a little bit about index funds, then learn how to do it yourself. If your goal is to become financially free asap & have enough income for a comfortable retirement, then there are only 2 books you really need to read. 1. 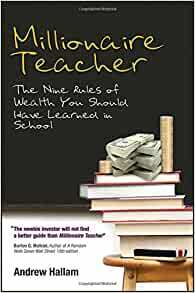 Millionaire Teacher - Andrew Hallam is an easy to read & understand guide to achieving your financial goals. His 9 rules explain what to invest in, how to deal with banks & financial advisors, how to balance your portfolio & a lot more, while spending only a few hours per year reviewing & correcting. 2. 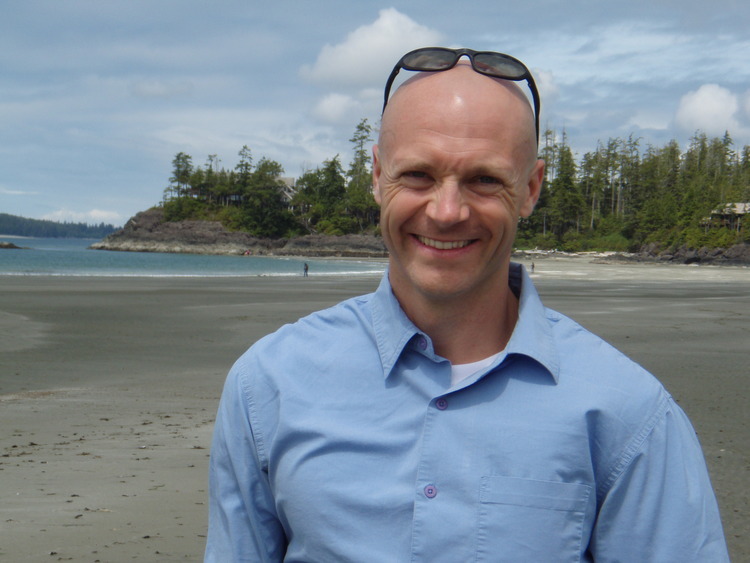 Barefoot Investor - Scott Pape, explains how to structure your finances & discipline yourself to control your spending with ease, how to deal with debt, save for holidays, invest in your future by saving for a home, & investing in you superannuation. It written based on living in Australia but the principles can be applied to living anywhere. These 2 books complement each other very well, & I highly recommend you read both. A well-written and informative book for most people. I bought it for my children and eventually grandchildren to read. If more people would heed the advice of always living on less than you make, and only investing in index funds, they would be much better off. People let brokers convince them that investing is way too complicated for the average person, and they "need" their expensive help with this investing stuff. That said, I will take exception with his suggestion to put what I consider lots of your money into bond funds. Since interest rates peaked in 1981 when money market funds were paying about 14%, owning bond funds has been a good thing. But with interest rates near zero, we may be looking at a 20 or 30-year bear market for bonds. The great Peter Lynch the author quotes to support his suggestion to put money into index funds also said put all your money into stocks and none into bonds. Warren Buffett is also quoted, but the fact that he recommends individual investors put all their money into stock index funds with none in bond funds is also ignored. Lynch did say to sell all stocks and go 100% into 30-year US Bonds if the yield on them hits 9%, but we are a long way from that. Ignoring half of what these two great investors said is why I give 4 stars instead of 5. I can't tell you that you are wrong to put half of your money into bond funds, but two really great investors do. I heard about this book from an appearance of Hallam on the Afford Anything podcast. I'm far from a professional investor, and work in around the same salary bracket as the kind of life he described as a teacher. I'm interested in personal finance, but many finance books I've perused seem bent on selling you some path of real estate investing, playing the stocks or using complex methodologies to gamble your way into "maximized returns", none of which I'm really interested in. Hallam's book laid out very easily another path that I could see in my own life without having to become some sort of money guru. I'd definitely recommend this book if you want to set up for a smart future in the long term and you're not looking to be swayed by immediate dollar signs or fast talking dealmaking. AH's system works. I'm retired and in my early 40's. Live below your means and invest early: that's awesome advice! Just do exactly what this book says (like buy Vanguard funds and avoid trend stocks). I lost $10K chasing newsworthy Rx stocks and Tech companies. It's all newspaper rhetoric. I analyzed swing-trading charts like I was plotting a trip to the moon: you can't predict or plan anything! The only thing that helped me make some serious cash with stocks is the CAN SLIM Method (O'Neil) and this book. For teachers and any other professional making less than $60K a year, this is THE way. Time will pass and you'll lock in "slowly but surely" gains. It's the marathon way of investing, not a get-rich-quick sprint. After you execute this book's simple financial plan, just focus on how to learn they kids goodlier and give them knowledges. Nothing left to say. 5つ星のうち5.0Life changing. Future changing. Future me will be eternally grateful! It's not a get-rich-quick book (can't stand 'em). It doesn't sell anything (can't stand ads masquerading as books). A friend passionately recommended it. He was right. It has changed my life. Wish I had this knowledge 20 years ago. Thankful to have it now. And most importantly, thankful to have the opportunity to teach the powerful principles contained within to our children. Investing shouldn't be difficult. It shouldn't be mystical. And this book proves it. I've gone 40+ years not having much of a clue about investing. That fact alone has cost me literally hundreds of thousands of dollars for my 70+ year old self. But this book will help my 70-year-old me breathe a little easier financially, and for that I'm grateful. It's not the Bible. But it is now only the second book in my lifetime that I recommend everyone should read (and that's saying a lot, seeing as I have one of my own out there).